JLife In-Control Mousse ================= I’m afraid I fell at the first hurdle on this – I couldn’t even get it to dispense… It’s just a regular aerosol-type can, so I’m not sure what there is to go wrong, but it just wouldn’t work. ============================= This was definitely thickening! Not in a “pouffe-y” way, but in a general overall greater volume effect. It has quite a marked salon smell, and was what I regard as quite a strong shampoo — meaning that it tended to make my hair rebel a bit, bringing out its natural kinks. I generally stick to a gentler shampoo to avoid this, but it won’t put me off using the JLife shampoo when I want a more volume-y effect. This is great. 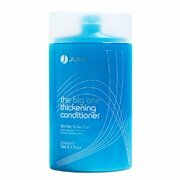 Equal to or better than my current essential product, which is the Naked thickening conditioner. 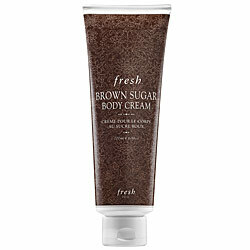 I’ll definitely buy more of this. The one complaint is that it is quite runny, and supplied in an unwieldy half-moon container than makes it awkward to dispense without wastage. (The same container is used for the shampoo, but because that’s gloopier, it’s not such a problem.) Given that it’s such a winner, I would want to make this last as long as possible and not lose any. Using both the shampoo and conditioner together, with the last of the thickening styling spray that I already had, I had the best-hair-day Christmas in years. Fantastic. And especially vital now that there are little nieces and nephews on the scene and lots of photos that get taken with their Aunty for posterity… And as previously noticed, all three thickening products work better in an area with softer water (where my parents are) than when used with London water. I do definitely want to re-stock once all these are finished.